Community Solar Array | Delta-Montrose Electric Assn. DMEA's Community Solar Array program provides members a more affordable way to enjoy the benefits of solar generated electricity. Please note DMEA’s Community Solar Array is currently sold out. 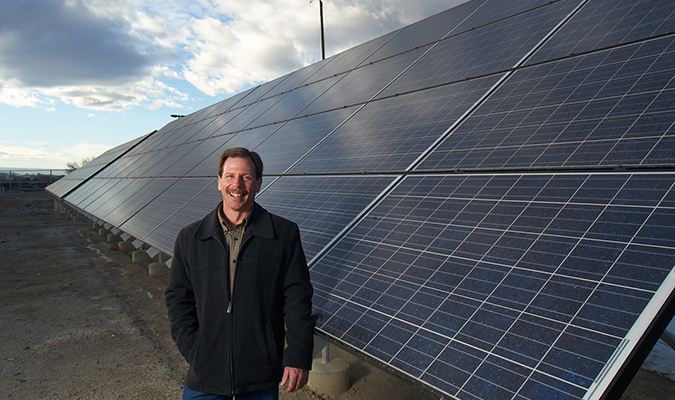 Participants lease a portion of two 10-kilowatt solar photovoltaic arrays. They receive a credit on their bill each month for the electricity their portion of the array produces. Leases begin as low as $10. Each $10 block provides participants with 2.67 watts of capacity in the Community Solar Array - an estimated annual bill credit of about $0.50.